Launched to celebrate the Queen's Jubilee in 2012. 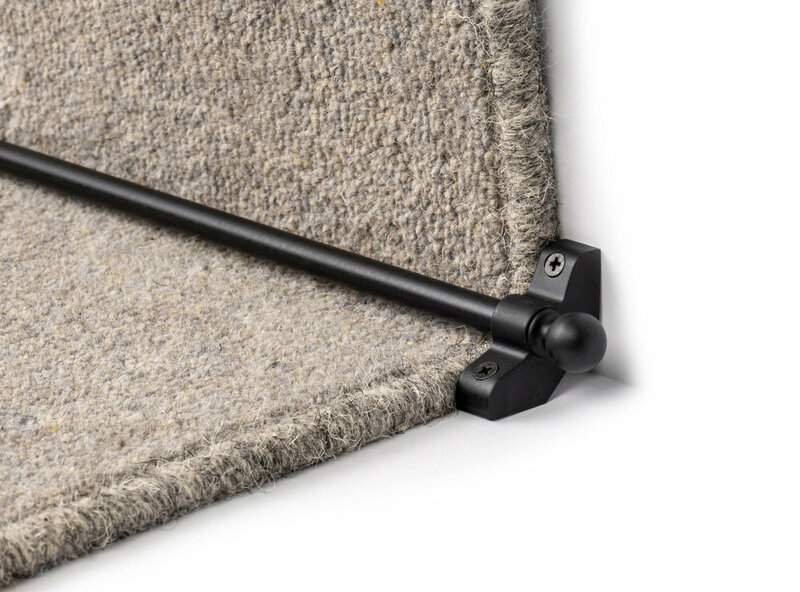 Our Jubilee rods are ideal for retro fitting as they can be easily cut down to match the width of an existing carpet. Affordable, small and indiscreet, available in a range of colours the Jubilee will be the perfect addition to your stair case giving it an understated elegance that is suited to its heritage. Choice of finishes: Antique, Brass, Bronze, Black, Pewter, Satin Nickel, Chrome and Ivory. Stock Sizes: We supply the Jubilee in 3 stock sizes which can easily be cut down on site.